Should You Buy An Annuity For Retirement? Annuities get a bad wrap. Most of that bad wrap is justifiably earned. Annuity providers often reward the “salesperson” (yes, many times, that is what they are) with a big commission check. As such, they are incentivized to encourage (scare you into) putting as much of your money as possible into annuities. As a result of those sales antics, many advisors that take the other side of the annuity argument spend a lot of time saying how horrible annuities are. Even if they’re not horrible. Even if they could be a good fit in some situations. My thinking on annuities is, as it is for most everything in finance, they are great when used properly. I think there is very little that is “black and white” when it comes to a variety of financial products. Most products exist to fit a specific need. However, it doesn’t always work out this way due to the way in which many “advisors” are incentivized. It can encourage those salespeople to fit a square peg in a round hole. It’s not the annuity that’s bad, but in how they are occasionally sold that you’ll often find issues. That is my only point. With those caveats out of the way, on to the pressing question. Should You Buy An Annuity in Retirement? If you are lucky enough to have a pension, do you like having one? I have yet to meet anyone that doesn’t. An annuity, when viewed through the lens of retirement, is nothing more than a pension. You give an insurance company some of your hard-earned savings and in return, they provide a guaranteed income stream for the rest of your life. I think any discussion around annuities should begin with an estimate of your expenses and your expected retirement incomes (Social Security, Pensions, etc…). Let’s start with your expenses. I believe that all essential expenses should be paired with a guaranteed source of income and discretionary expenses are provided for by an easy-to-understand portfolio income strategy. I feel this way because I find that many clients find great comfort in knowing that no matter what happens in the market, their essential expenses are going to be met. As you can see above, I think the only reason to purchase an annuity of any sort is if you are falling short of your essential expenses in retirement. Below is a link to a worksheet that you can utilize to establish quality estimates of your essential and discretionary expenses. Using the worksheet, you can get a rough estimate of what you anticipate your expenses to be, both essential and discretionary. Once you’ve established those estimates, then estimate your guaranteed incomes. Your essential expenses are greater than your estimated retirement incomes: You might be a candidate for an annuity. Your essential expenses are less than your estimated retirement incomes: I would say it’s unlikely that you are a candidate for an annuity. Not impossible, but unlikely. It’s my hope and observation that most retirees fit into scenario two. This is often because many retirees transition into retirement with no mortgage and no debts. If you have no mortgage and no debts, then it’s likely that there are few essential expenses outside of groceries, utilities, property taxes, and insurance premiums. Once your essential expenses are properly provided for, the disadvantages I’ll discuss below tend to take precedence as maintaining full access to a portfolio with decades of potential growth ahead of you is worth the “risk” associated with the markets. On the other hand, if your essential expenses are more than your guaranteed sources of income, then doing the proper research to find the right annuity for you is likely time well spent. To be clear and fair, there are other potential reasons to consider purchasing an annuity such as providing potential long-term care benefits as one example. But I’d argue that those should be extreme secondary considerations. The primary reason is and should be income stability. If, after reading this, owning an annuity sounds like it might be a fit for you, I think it would be worthwhile to look at a summary of advantages and disadvantages of owning an annuity. Please note that everything below is being addressed solely from the perspective of ensuring that essential expenses are met in retirement. Can provide a guaranteed income stream for life or for a specific period of time. Can reduce one of the biggest fears retirees face – the fear of running out of money. An annuity may reduce your proclivity to make emotional decisions with the remainder of your portfolio. You lose access to your principal. You do not participate as much in the market upside if the markets do well. Most annuities will not keep up with inflation. Annuities can be confusing and complex. Many annuities can come with high fees. As you can see, both the advantages and disadvantages of owning an annuity are noteworthy. One does not necessarily outweigh the other which is the very reason that establishing a specific need (if any) is key. An investor that is considering an annuity though must understand that the point of an annuity is NOT to generate the highest possible return on your money, but to generate an income that you cannot outlive. Nothing more and nothing less. Any other potential uses for an annuity are too nuanced for this medium. PLEASE NOTE: There are some tremendous differences among the thousands of annuities that exist, so they are certainly not all created equal. I must caution people: It is SO important to work with a fiduciary advisor if you are considering an annuity. A fiduciary advisor is someone that is required to place your interest ahead of their own, period. If you choose to work with any other “professional” you may very well end up regretting your annuity decision. My hope here in this article is to provide some helpful guidelines and tips to see IF an annuity is something you should consider. The annuity’s promise to pay is only as safe as the insurance company that sells it. It is therefore important to use the highest-rated companies even if it means a slightly reduced payout. Also, annuity payouts are typically tied to interest rates, which are still historically low but rising. It’s possible that if rates continue to rise that annuity payouts should rise as well, which is certainly a good thing for retirees with regard to increasing interest rates. Annuities are littered with a variety of “riders” (aka add-on benefits) that you can choose from when establishing an annuity. There are some that could be very beneficial to have such as a “guaranteed income rider” and others that might not be the right fit. Almost all of these riders come with an additional cost, so it’s important to be well informed when it comes to purchasing one. This is where a fiduciary advisor can really lend a hand. Lastly, there are immediate annuities, fixed indexed annuities, and variable annuities that come in all sorts of combinations. I didn’t get into what all the available options are because there are literal books written on the subject. I apologize for all the notes/caveats and the like, but annuities are pretty much a black hole of possibilities. My hope is simply to convey my thoughts in the simplest form possible if you’re considering an annuity for your retirement. Hopefully I was able to accomplish that goal. Coolest Things I Learned in 2018 (perell.com) – If you’re a nerd for random, really interesting information like I am, this post is for you! Six Years With a Distraction-Free Phone (medium.com) – I don’t think anyone is really immune to the “pull” of their smartphone. After reading this article I couple weeks ago, I made all the changes to my phone suggested in the article, and I can say without question, that it has been…life…changing! I now have a dumb-smartphone that is now only smart in all the right ways. The Top 25 Passwords in 2018 Are An Embarrassment to Humankind (esquire.com) – Here’s to hoping that you don’t find any of your passwords on this list! 2019 Tax Brackets, Standard Deduction, and Other Changes (obliviousinvestor.com) – If you’ve been maxing out your IRAs or 401ks, you’ll need to make an increase to your contributions for 2019 if you want to keep maxing them out. 6 Rules for Tax-Free Roth IRA Distributions (irahelp.com) – Here are the rules you need to follow to make sure your money comes out of your Roth IRA tax-free. Why Financial Advisors Love Data (allaboutyourbenjamins.com) – I must admit, I love data and charts, but hopefully for all the right reasons! 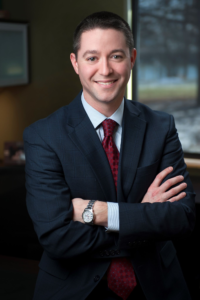 ICYMI: Talkin’ Shop: Ashby Daniels & Common Retirement Mistakes – (allaboutyourbenjamins.com) – I sat down with Justin Castelli to discuss what we view as the most common retirement mistakes we see.